It is hard to exaggerate the damage inflicted on AIPAC by the congressional defeat of its efforts to torpedo the Iran nuclear deal. It is not as if AIPAC won’t live to fight again, because it will, but this defeat has ruptured the status quo, possibly forever. AIPAC is not a mass-membership organization. It claims 100,000 members, which probably means it has fewer than that. But no matter, it is, or was until now, viewed as speaking for all 6 million American Jews. In fact, whenever it testifies on Capitol Hill, it says it is speaking for the entire organized community. The truth, however, is that 82 percent of American Jews belong to no Jewish organizations at all, meaning not only that there is no organization that speaks for them, but that no organization even knows exactly who they are. So why don’t politicians know this? In 2008, I met with then Senator Barack Obama (I was working for a pro-Israel organization at the time) and asked him if he would, if elected president, listen to pro-peace Jewish voices on Israel or just AIPAC. He said, “I can’t hear you.” Taking him literally, I spoke louder. That wish was answered by J Street, which, with Obama’s help, has become the anti-AIPAC. J Street doesn’t have the money AIPAC has, and it probably never will. But during the battle over the Iran deal it acted as a counterweight to AIPAC, playing a major role in destroying both the media’s and Congress’s conception of a Jewish community united behind Netanyahu. Those efforts played a role in AIPAC’s defeat, a process that really took off when Obama started inviting J Street to the White House whenever he met with the old-guard Jewish organizations like AIPAC, the American Jewish Committee, and the Conference of Presidents of Major Jewish Organizations. Obama told me that he wanted progressive Jewish voices to speak louder; he didn’t say that he would create the amplifier. But he did. But J Street didn’t do a fraction as much to defeat AIPAC as AIPAC and the Netanyahu government did themselves. Starting as far back as 2008, when the Israeli leadership first had to consider that Barack Obama would likely win the election, it did not take kindly to the president. Media reports told of Israelis being immune to the Obama mania that had seized the planet. Maybe it was his middle name or maybe something else. In 2012, Netanyahu all but endorsed Mitt Romney, allowing his associates to denigrate the president. Netanyahu and his right-wing allies had a real shot at winning if they had not turned Israel into a Republican plaything. Netanyahu’s animus came to a head when his ambassador to the United States arranged for him to speak to a joint meeting of Congress about Iran this past March, without even letting the White House know that the prime minister was planning a visit. Netanyahu came and—how else to put this?—dissed the president of the United States in his own capital. At that moment, the battle against the Iran agreement became a partisan battle: Likud and the Republicans against the American president and the Democrats. That never changed. In the end, the majority of Republicans in Congress lined up against the deal, while all but a couple dozen Democrats lined up for it. The Israelis and the Republicans either forgot that they would need Democrats to win or thought that, with sufficient inducements, they would come around. Ultimately, they lost that bet. Still, it was not preordained; Netanyahu and his allies on the American right had a real shot at winning if they had not turned Israel into a Republican plaything. But they crossed that Rubicon and it will be hard crossing back. The bipartisan love affair with Israel has cooled. In the future, AIPAC’s influence will depend, more than ever before, on whether or not legislators believe they can safely defy it. AIPAC’s power is built on the belief that it cannot be challenged with impunity, a belief that is on the verge of being exposed as illusory. When Senator Chuck Schumer, AIPAC’s Senate enforcer on Israel-related issues, cannot even deliver his and New York’s junior senator, Kirsten Gillibrand, it is clear that the bad old days of lobby intimidation may be passing. When as stalwart an AIPAC supporter as Congresswoman Debbie Wasserman Schultz defects because she fears that choosing AIPAC over a Democratic president could cost her the post she holds as chair of the Democratic National Committee, the power dynamic has clearly changed. When Congressman Jerry Nadler, who represents more Orthodox Jews than any other member of Congress, tells AIPAC that he won’t be with them this time, it is impossible not to sense a political earthquake. In 2014, it was hard to find a single Jewish member of Congress (not even Senator Bernie Sanders) who would break with AIPAC’s support for Israel’s war on Gaza. One year later, nine of 11 Jewish senators and most of the Jewish House members are bucking AIPAC and the Israeli government on, of all things, the Islamic Republic of Iran. The Iran nuclear issue, more than any other, was one on which AIPAC could not afford to lose. That is because imposing and then maintaining sanctions on Iran has been the primary focus of the lobby for two decades. It was in 1994 that AIPAC published a 76-page policy document, “Comprehensive U.S. Sanctions Against Iran: A Plan for Action,” calling for legislation to impose a full embargo on trade with Iran by the United States, along with an added “secondary boycott” mechanism by which the United States would also impose sanctions on foreign entities that traded with Iran. By 1996, the AIPAC-drafted Iran-sanctions bill was law, made more comprehensive and onerous each time it was renewed. True, AIPAC also uses its power to prevent US recognition of a Palestinian state, but in recent years Palestine has taken a back seat to Iran as the primary focus of the lobby. That may be because Iran is infinitely more of a threat to Israel’s regional interests than the Palestinians, or because it believes it is easier to achieve a consensus in the “pro-Israel” community against the hateful mullahs than the hapless Palestinians. After all, who could possibly believe that the Palestinians could imperil Israel’s existence? Yet that idea is central to AIPAC’s entire campaign against the Iran deal. Ironically, and happily for those who had despaired of making headway on the Palestinian issue, AIPAC’s Iran defeat presages difficulties for the lobby on that front too. After this, it is harder to imagine Congress standing in mute silence, as it has in the past, the next time the Israeli government decides to teach the Palestinians another one of its bloody lessons about the need to accept occupation without resistance. After AIPAC's defeat, it is harder to imagine Congress standing in mute silence the next time Israel decides to invade Gaza. But that depends on what happens now. I referred earlier to the belief, almost universally held in Congress, that legislators cannot defy AIPAC with impunity. I said that belief is on the verge of being shown to be an illusion. What I mean is this: Either legislators who supported the Iran deal (particularly those representing states or districts with a significant number of Jewish voters) face AIPAC-generated reelection difficulties in primaries or the general election, or AIPAC will be revealed to be nothing but a paper tiger. After all, it is the fear of reelection problems that keeps most legislators in line. Even those from “safe” states or districts fear campaign funds’ being directed to their opponents or simply kept away from them. That is how AIPAC works. Back in the 1980s, when I was an AIPAC employee, I shared an office with the staffer whose job was to advise both the pro-Israel PACs and the big individual donors on whom to give to and whom to boycott. AIPAC had lists of candidates to help and candidates to hurt, and it made its views known to anyone who asked and many who didn’t. No, it did not fund candidates itself but its staffers and wealthy captains around the country put out the definitive word on who was a friend and who was an enemy. Over the years, some of those enemies went down to defeat, but many more had to work surprisingly hard to prevail over (suddenly) well-funded opponents. Fortunately for AIPAC, there have never been that many “enemies” that needed punishment. There are few Israel-related votes and, when they have come along, few legislators vote “wrong.” The biggest Israel vote is on the Israel aid package, which is part of the overall foreign-aid budget and has not been controversial for years. Instead, the fear factor comes in on votes relating to aid to Palestinians; supporting and opposing a Palestinian state; Israel’s occupation of the West Bank and blockade of Gaza; and the idea of linking aid to Israel to its commitment to the peace process and human rights. It is on issues like these that Israel could claim the support of a thoroughly intimidated Congress. Until now, Iran policy was also on that list, with legislators rushing to curry support with AIPAC donors by taking a hard line on all issues related to Iran. But not after this week. Suddenly AIPAC is being defied by hundreds of senators and representatives on an issue it has deemed a matter of life or death for Israel. What does it do to maintain its deterrent capacity? Does it instigate primaries or steer campaign contributions away from most of the Democrats in Congress, including many who have been, until now, its closest allies? Or does it, accepting the impossibility of taking them all on, give them a pass? Or does it give some a pass and not others? One thing is certain. The only way for AIPAC to remain the force it has been is by going after its enemies. And winning. And not just in 2016 but in 2018 and 2020, in a series of cycles of retribution. If it doesn’t do that, it will become a shell of its former self, only able to deliver noncontroversial votes on matters directly related to the survival of Israel and largely useless where US and Israeli security interests clash, as with Iran. That last category includes, most notably, the Palestinian issue, which has undermined US national interests for decades, but on which our hands have been tied by fear of AIPAC retribution. At this point, no one can predict what will happen but I’ll venture a guess. AIPAC will not take on those who opposed it on Iran. On the contrary, it will try to get back in their good graces. 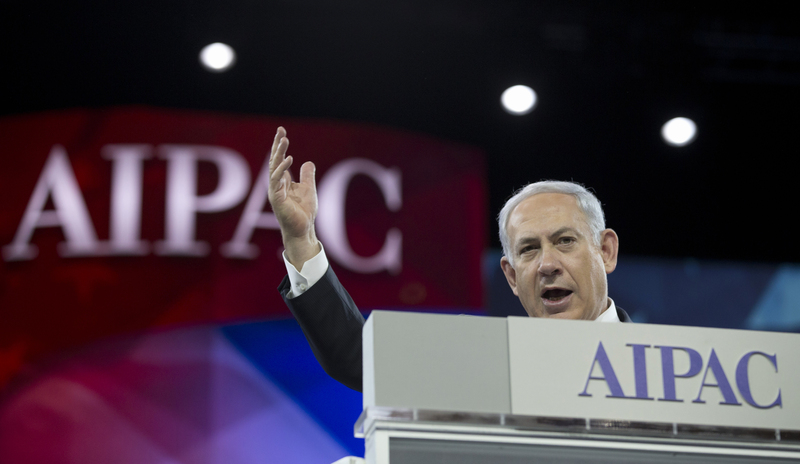 AIPAC's defeat on the Iran deal is good news for everyone, including the State of Israel. And the next time a vote comes up where legislators are torn, it is just possible that they will vote their conscience—one way or another—without worrying too much about what AIPAC will do. And that will be good news for everyone, including the State of Israel. But mostly for the United States.